What value do outdoor rooms or outdoor patios have for homeowners? where do you live? Are your summers hot and winters warm? Is it a summer home or a year round residence? how much money do you have to invest? 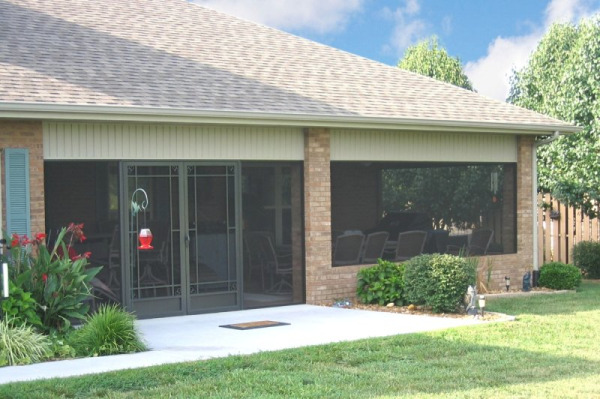 sunrooms cost more than a screen rooms, and screened in patios are a much less expensive home addition per square foot. why do you want it, what will you use it for? Do you want to sit by the lake in a comfortable hammock with some privacy and protection from bugs? A screen room is perfect. Do you want to add year round living space to your main house? Consider a sunroom. The financial value of outdoor rooms and patios. Most additional living space that you can add to your home will increase the home's property value. Your home and the permanent improvements you make to your home are considered capital assets. 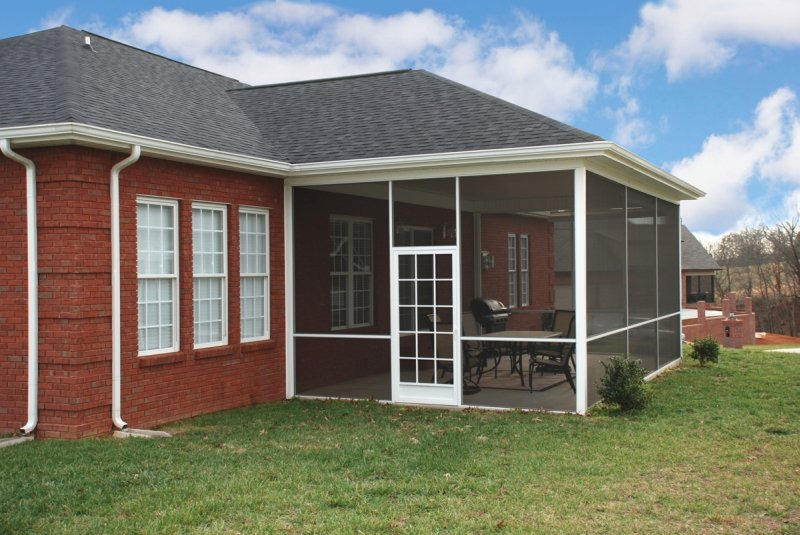 To increase a home's sell value, increase the capital asset by adding a screened in patio or porch. The costs you incur to increase that the capital asset value of your home reduces the amount of capital gains tax you have to pay when you do someday sell. Whether you choose to have a sunroom or a screened in patio or porch, make sure that the screen door you install holds up the value of your outdoor room or patio. Ask your contractor or screen door supplier about how often you will need to replace your screen door over the life of your sunroom, patio or screen room. You might find that getting a better quality screen door will reduce your cost (and hassle) as well as give a good first impression to potential buyers. The lifestyle value of outdoor rooms and screened in patios . A outdoor room invites the outside in, extending our nice weather seasons and making the winter season easier to bear. You can create the outdoor patio that best suites your relaxation needs and connect with friends and family. With the rise of the staycation, more families are staying local and discovering the vacation in their own backyard. An outdoor patio can be your everyday staycation. The health value of outdoor rooms and outdoor patios. A lot of us lead busy lives between kids, job, and other family and friend activities there is little time to relax. We all know that fresh air, sunshine and a quiet refuge a few minutes a day is something we should all do for our health. An outdoor room is the perfect, and safest, way to enjoy the outdoors. What does this mean for contractors and home improvement centers? It means that you have an opportunity to give the people what they want- whether you are selling or installing a sunroom or a screen room. You don't have to avoid the unhappy call backs of your customers because the screen door on the sunroom or screen room you installed doesn't hold up to the quality, durability, or style of the outdoor room you installed. Instead, learn more about becoming a PCA partner and help your customers build the home value they seek or the outdoor lifestyle they desire. Then when they refer you to their friends, family and neighbors, you will understand what it means to be a part of the PCA preferred partner family.